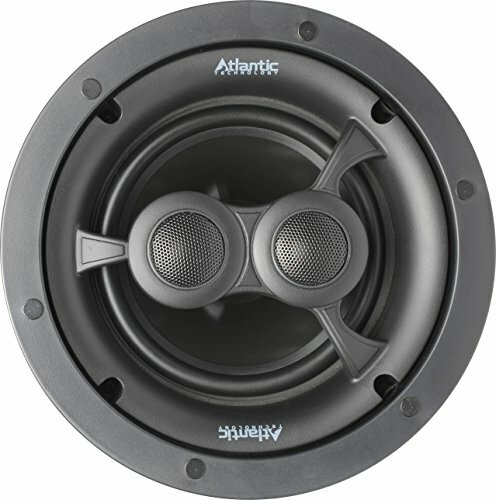 The Atlantic Technology IC-6 OBA Speaker is specifically designed to be used as the "elevation" component in an Object Based Audio (OBA) system such as Dolby Atmos, Auro 3D and DTS:X surround systems. The Atlantic Technology research and engineering team developed the IC-6 OBA to deliver the excitement of Object Based Audio encoded soundtracks with startling impact and holographic three-dimensional realism. The IC-6 OBA's frequency response and radiation pattern have been specifically engineered to provide wide dispersion to eliminate audio "hot spots" that occur with standard in-ceiling speakers. If you have any questions about this product by Atlantic Technology, contact us by completing and submitting the form below. If you are looking for a specif part number, please include it with your message.